Do you find it difficult to record audio from a computer microphone, sound card or streaming website? For the inexperienced, this is really not a simple thing. However, if you are desperate to create audio recording on your desktop, you should not miss this full list. Under the help of it, you can have a general learning of 5 well-liked desktop audio recorder software and then select one that suits you after completed comparisons. Adopted with the most innovative screen capturing technology, Joyoshare Screen Recorder, a competitive audio desktop recorder, is capable of grabbing any onscreen audio activity in high quality. It fully supports all types of audios, such as streaming music, system sound, online radio, microphone voice, gameplay music, etc. Under the assistance of its built-in audio encoder, you are enabled to save what you record in any format, like MP3, M4B, AAC, M4A, FLAC, WAV, OGG, AIFF, M4R, CAF, etc. Best of all, you can pause the recording at any time to skip the parts you don't need and cut whichever as you wish. It even offers editable ID3 tag window to let you edit title, artist, composer, genre, cover and more info handily. 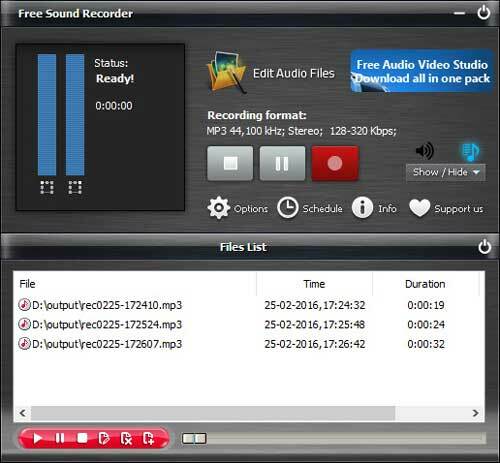 As its name suggests, Free Sound Recorder is a dedicated desktop sound recorder that is specialized in capturing all kinds of audios, including computer voice, broadcasts, VoIP phone call, YouTube music, streaming audio, etc. It can be regarded as a perfect tool to grab both external and internal sound and output MP3, OGG, WMA or WAV files with ease. 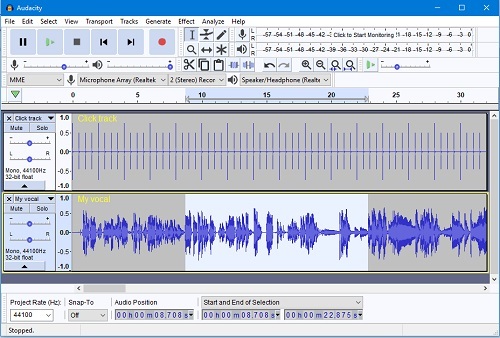 To let you create awesome audio recording, this freeware also shows a digital audio editor to cut, crop, delete, echo, amplify, normalize, and fade in/out files. Better yet, it gives liberty to predefine time and duration for a scheduled recording assignment. You can as well capture music from any online music sites and freely grab new-released songs. 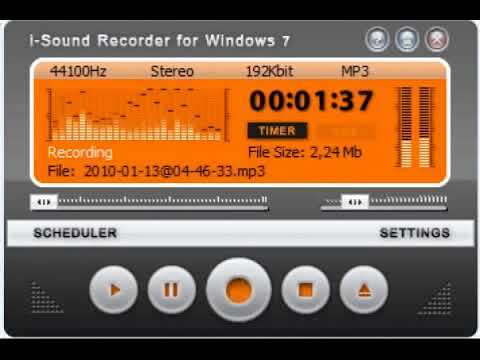 Apowersoft Free Online Audio Recorder is yet another excellent audio screen recorder. It can be applied to create high-quality audio from microphone and sound card in a straightforward manner. What you have to do is just to install a launcher and run it on browser. As a easy-to-operate tool, Apowersoft Free Online Audio Recorder empowers you to capture in-game sound, radio stations, streaming audio, voice chat and so on in a breeze. Furthermore, it is compatible with different devices and players, such as Windows media player, tablets, iPhone, Android smartphones, etc. What available is that you have chance to share recorded audio to YouTube, Google+, Twitter, Soundcloud, etc. with ease. 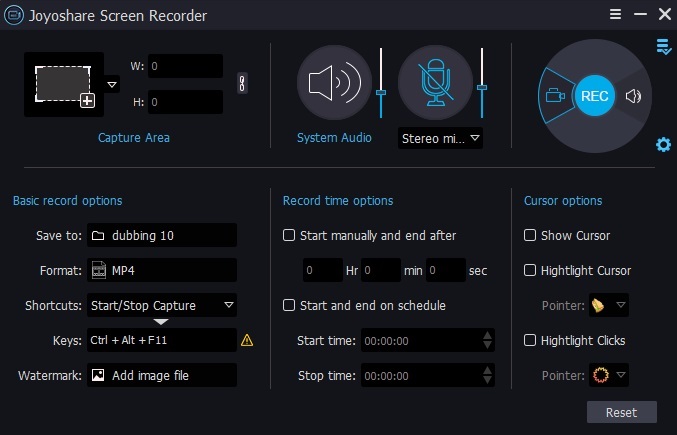 i-Sound Recorder is a relatively basic yet high-efficient screen audio recorder, which is able to record audio directly from output device without using "Stereo Mix" input. With it, any sound can be captured in finest quality. You can also change recording source anytime to the sound card input or microphone. More than that, this intelligent tool is well designed with real-time audio compression to save your hard drive space and export audio to popular formats, for example, MP3, WMA and OGG, or lossless formats, for instance, APE, FLAC and WAV. The advanced voice-activated recording is powerful to skip any silent pause in audio. Plus, its Automatic Gain Control can well keep audio recording at a consistent volume. Audacity is indeed a reputable desktop voice recorder that is worth your consideration. As a well-known cross-platform free open source, it attracts too much attention from a large quantity of users. The comprehensive recording features even make itself more approachable. Being good at recording audios, Audacity can capture live audio through mixer, microphone, etc. What is noteworthy is that it offers possibility to import, combine and edit multiple files at a time in many various formats. During the editing process, you can make unlimited sequential undo & redo as per actual need. Additionally, you can apply effects as you want and Audacity will convert sample rate and format using high-quality resampling and dithering. Without doubt, you are now clear about all special features, pros and cons for each software. If you are unwilling to pay for it, you can get one from Free Sound Recorder, Apowersoft Free Online Audio Recorder and Audacity. But the low-budget one, like Joyoshare Screen Recorder, can have a wonderful performance. All that matters is that this program can alternatively acts as an independent desktop video recorder to record video and audio simultaneously in the way you like. Therefore, it a must to try each one before make a decision.